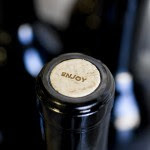 JAQK Cellars is a year old wine company that launched Oct 2008 with a lineup of eight California wines. 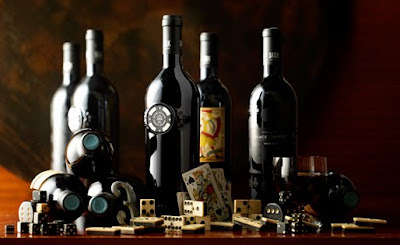 The brand has a bit of whimsy to it, with the motto "play a little" and the wines designed and named after aspects of gaming such as cards and dice. 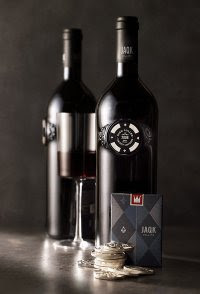 In fact, JAQK was the official wine of the World Series of Poker this year, even though she's only a year old. 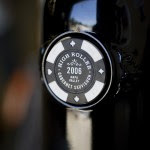 The bottle design is very cool, but most importantly I quite like the wine, which is made by winemaker Craig MacLean.